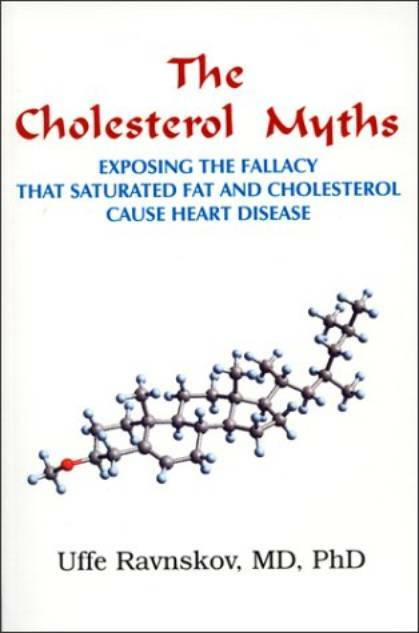 Dr. Ravnskov's classic book on the cholesterol myths is now available free on the Internet. The reason why this fact is not well-known in the general public is because it would put a huge dent into a $100 BILLION drug market for statin drugs – drugs that lower your cholesterol. With approximately one out every four Americans over the age of 50 currently prescribed a statin drug, a drug with very serious side effects, this is certainly one issue you should investigate yourself. Please don't take my word on it, nor anybody else's. Our study provides an updated epidemiological indication of possible errors in the CVD risk algorithms of many clinical guidelines. If our findings are generalizable, clinical and public health recommendations regarding the 'dangers' of cholesterol should be revised. This is especially true for women, for whom moderately elevated cholesterol (by current standards) may prove to be not only harmless but even beneficial. One of the ways in which the medical industry has tried to deal with the data on cholesterol, is to reclassify it as either "good" or "bad." So the prevailing medical thinking today is now that "high density lipoproteins" cholesterol (HDL) is "good," while "low density lipoproteins" cholesterol is "bad." There's just one problem with this kind of thinking: there is only one kind of cholesterol. "Lipoproteins," which can be measured in terms of their density, are what carry the cholesterol through our blood stream. There are studies showing that cholesterol with lower density lipoproteins have a positive association with clogged arteries leading to heart disease. But is this association a causative factor in heart disease? First, it is important to know that there is only one kind of cholesterol, and it is essential to life. Remove all the cholesterol in your body, and you die! 25% of your body's cholesterol is in your brain, and it is in the walls of every cell in your body. In late 2011, Pfizer's patent on Lipitor expired. A couple of months later the FDA issued its first warnings against statin drugs, which include: liver injury, memory loss, diabetes, and muscle damage. Dr. Stephanie Seneff has linked statin use to Alzheimer's disease and other neurological diseases. A study just published in the international journal Drug Safety found a positive association between regular statin drug use and Bell's palsy, a neurologic disorder. The Statin Scam: Don't Let it Ruin Your Health!